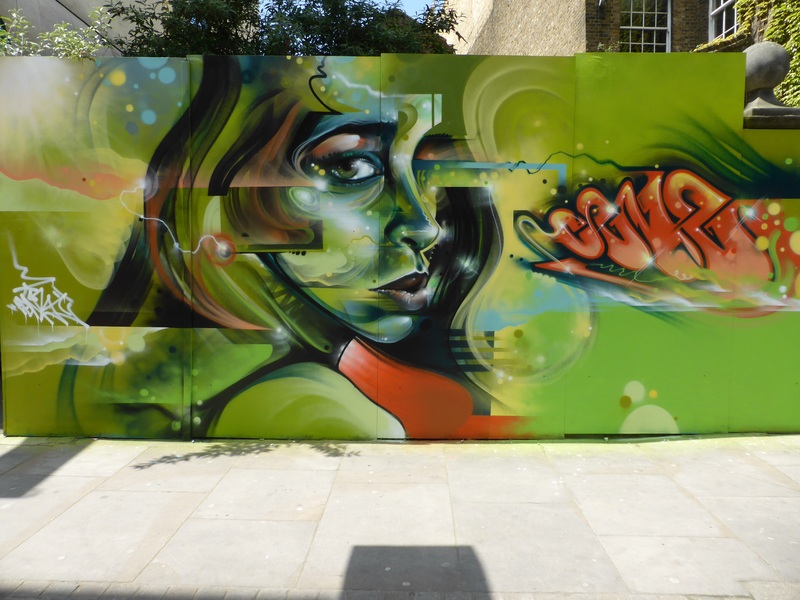 Over the course of Friday in the fine Spring sunshine, artist Mr Cenz laid out this stunning piece of work over a former piece of his which had been tagged over, and what a replacement it is. 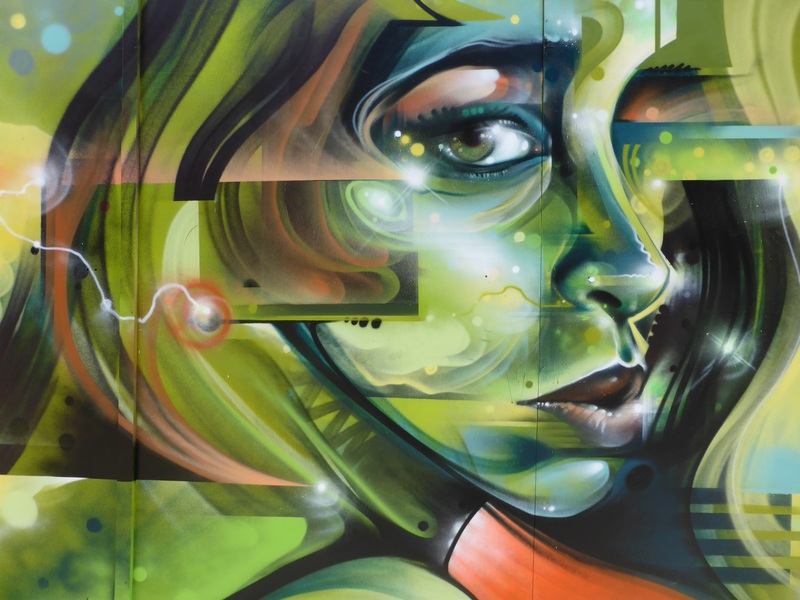 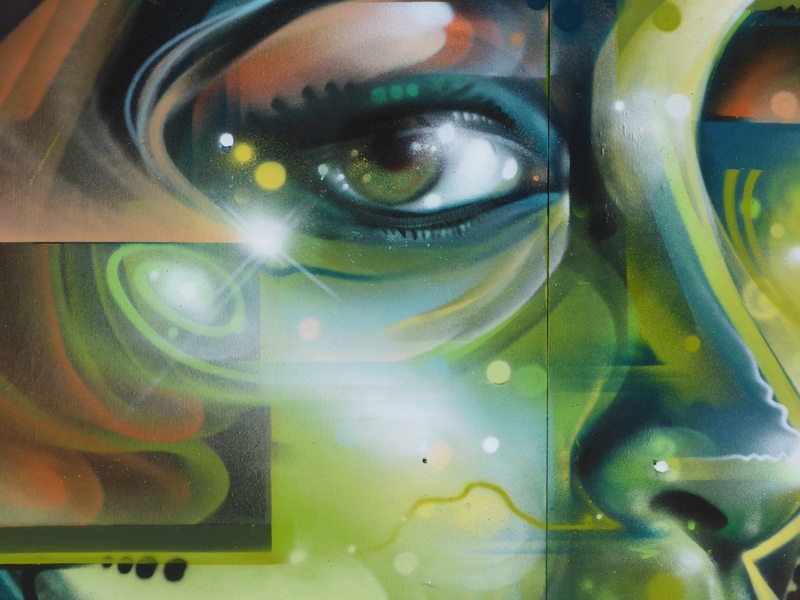 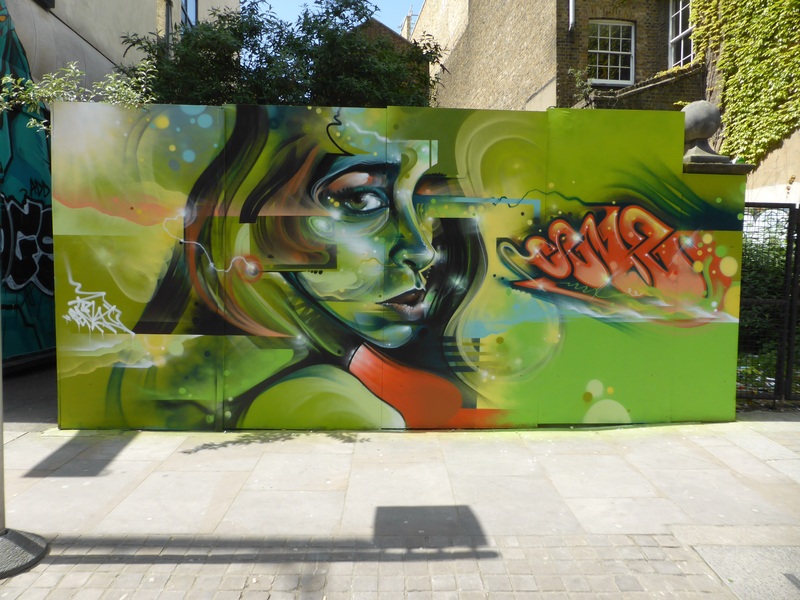 This piece laid out in Curtain Road Shoreditch is so striking, featuring his more trademark female portraiture set alongside his distinctive lettering, on this occasion set to a vibrant and beautiful green colour palette. 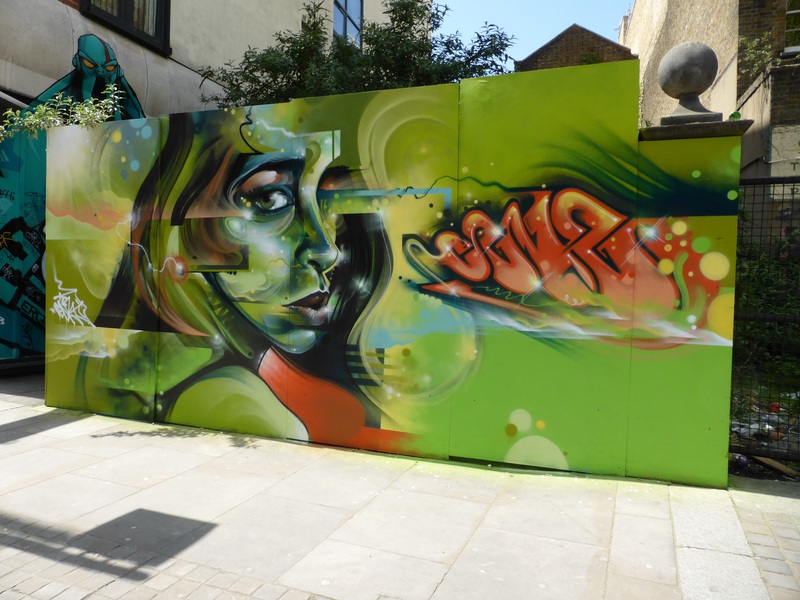 Well worth a visit if you are in the area.